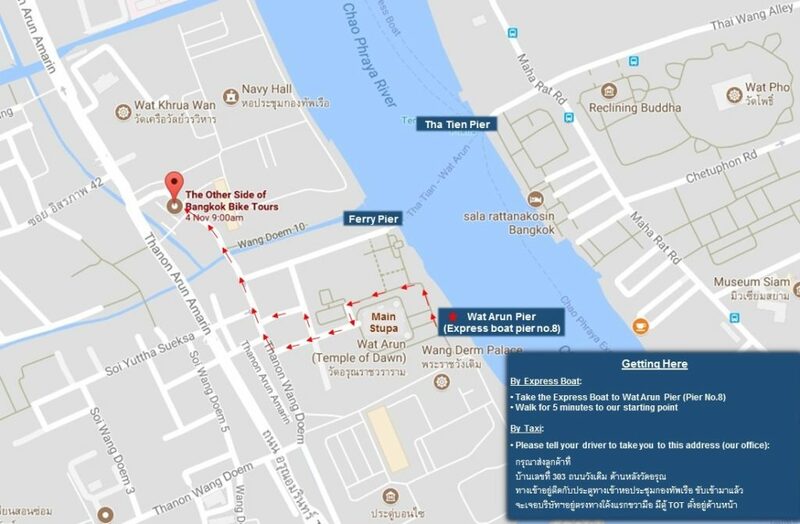 There are two starting points for our tours, on the Thonburi side and at Bang Kachao Side, Phra Pradaeng. You can use our “Hotel pick up service” to avoid the crowds in public transports especially in the morning of weekday or “Getting here yourself” by follow many convenient ways below to get to our starting points. If you would like to book our hotel pick up service, please select this option while booking your tour with us on the tour page. • From Wat Arun Pier (Pier No.8), walk for 5 minutes to our starting point. • Please print out our “Printable map” and show to the taxi driver. 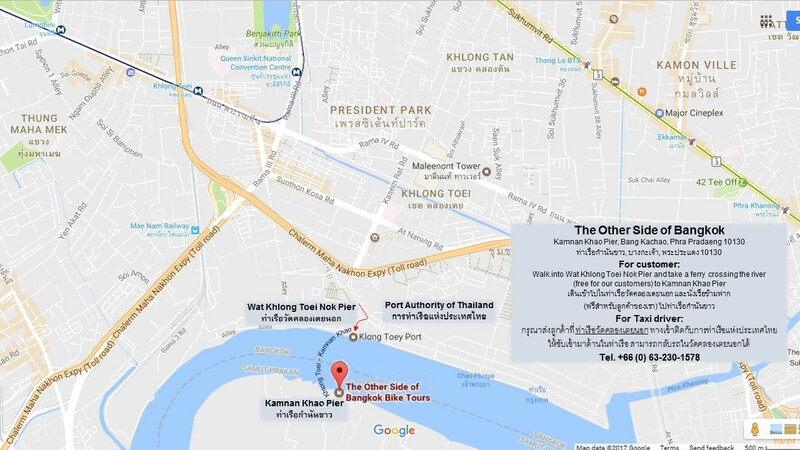 • Walk to the pier then take a ferry (longtail boat ride) crossing the river to ‘Kamnan Khao Pier” where is our starting point.